Before considering whether to buy Gears Of War: Judgement you need only ask yourself one thing: Do you enjoy the Gears Of War series? If you do, then buy it. You'll enjoy it. Before considering whether to buy Gears Of War: Judgement you need only ask yourself one thing: Do you enjoy the Gears Of War series? If you do, then buy it. You'll enjoy it. Unfortunately, I can't just leave the review there (however tempting it is to do so), so I'll press on. GOW: Judgement is a prequel to the original series of third person shooters, where you followed Marcus Fenix and Delta Squad in their battle against the Locust Horde. While the games aren't exactly works of art, the online co-op gameplay and distinctive character design endeared itself to fans that were looking for something a bit less clinical than your average shooter. In short, the games were fun, the weapons satisfying, and the temptation to punch the air every time you pulled off a successful quick reload palpable. Skip back a few years in the game's storyline, and we're now following Kilo squad just after "Emergence Day" (the day in which the Locust decided to rise up from their underground lair and unleash hell upon the surface). You'll recognise a couple of faces, namely Baird and "The Cole Train", but there are also some new people in the squad: Sofia Hendrick and Garron Paduk, the latter of which appears to be on some intercontinental military exchange program in light of the new found underground threat. Up to four people can play the campaign co-operatively online, and each one of you will get the chance to shine as the main protagonist as the characters take turns telling their version of the events that happened during a key campaign in the Gears Of War universe. Graphically, the game has improved upon its predecessor, GOW 3, and the facial animations, shadows and environments are beautifully rendered. It's quite a kick seeing the landscape pre-Locust destruction, though parts of it do look more than a little bit like Naboo from Star Wars: The Phantom Menace. Enemy AI is as tough as ever but, as always the combat is meaty, and picking the right spot to hunker down in cover is always going to be a winning tactic, especially when you can send squad mates after some of the trickier foes. A newly implemented Smart Spawn System means that, even when replaying a chapter of the game, no two battles are ever the same as the enemy will mix up the timing and location of their attack every time. But the most notable addition to the game has to be the "Mission Declassified" feature. During your exploration of GOW: Judgement's campaign, you will come across red, shimmering COG insignia on the walls before every enemy encounter. By activating them, you will be given the choice to take on a specific challenge during the battle, which can be as simple as limited ammo or as nail bitingly intense as a time limit or having to fight Elite Class Locust on two fronts. It's a nice touch, and the added bonus of being rated at the end of each encounter, and awarded stars accordingly, gives you something to strive towards. I found myself cursing every headshot I messed up when I occasionally missed out on a top tier 3 star rating by a couple of points. The urge to replay the battle is really strong, and I'm sure that if I hadn't been trying to get through the campaign for the purposes of review, I would have done so. An unlockable campaign, "Aftermath", has also been included with GOW: Judgement, which can be accessed once 40 stars have been achieved during the main campaign. This sets the action just before the final encounter in GOW 3 but, and I do stress this, if you want to experience it properly and without spoilers, I'd wait until you've finished the main story instead of jumping in, guns blazing. This has been a tough one to review as, while it doesn't exactly push the envelope in terms of gameplay and graphics, GOW: Judgement is still a really fun experience. What has been added works well, but it's hardly groundbreaking, or even gamechanging. 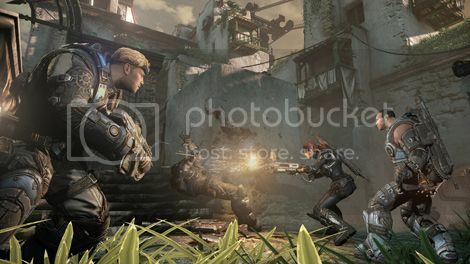 Essentially, Epic Games and People Can Fly have done what every Gears Of War fan wanted - they've made another, slightly improved in places game, with new multiplayer maps and a fresh story campaign. Does that make it an amazing video game? Well, no - there are arguably (well, definitely) better games out there. The main area in which the game suffers is the overall story structure of the campaign. Stylistically, it's fractured (for reasons that will become clear during your playthrough), and while that's in keeping with the tone, and aids the addition of the Declassified Mission challenges, it does leave one feeling a little directionless. 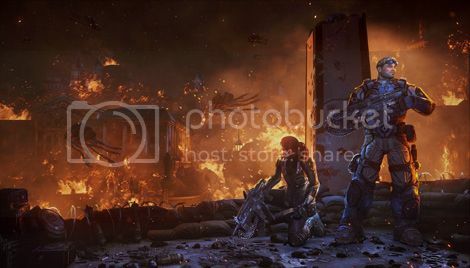 With Marcus Fenix, I felt attached to the events as they unfolded. This was his world going to hell in a handbasket and, while it lacked in subtlety, the sheer scale of some of the events in GOW 1 through 3 were, at times, absolutely breathtaking. There are no "wow" moments in GOW: Judgement. It all kind of plods along from one battle to the next. 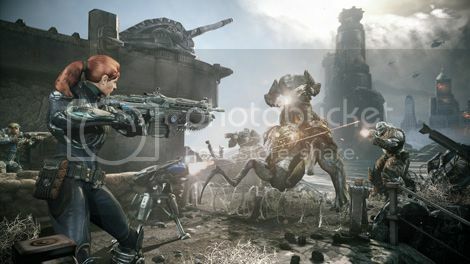 The lack of any significant boss battles (barring the game's finale) is also a minor disappointment, and any particularly challenging adversaries are usually thrown into the mix with the rest of the Locust Horde who attack you in waves. While they're challenging, you won't find yourself having to adapt your strategy that much to take them down. In conclusion, Gears Of War: Judgement is a must-play for fans of the series with some interesting additions, but I can't ignore the fact that there feels like there's something missing from the overall experience. Check back next week for our Gears Of War: Judgement multiplayer review.